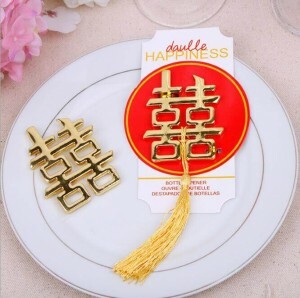 Welcome to China wedding favor! 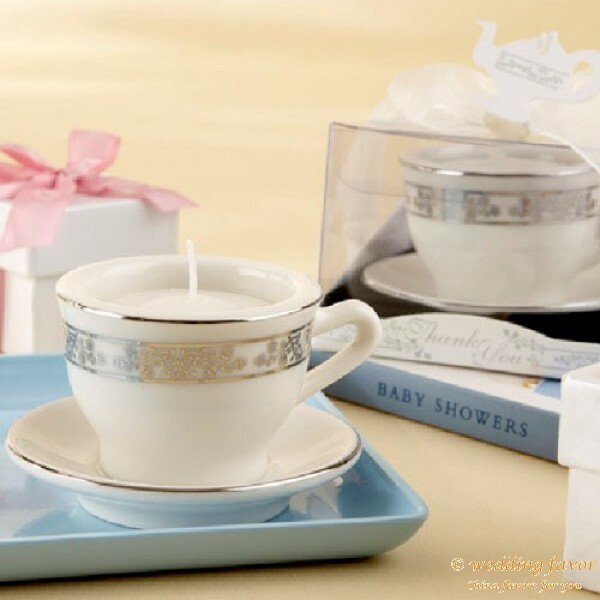 This truly beautiful favor is a miniature version of the finest china . 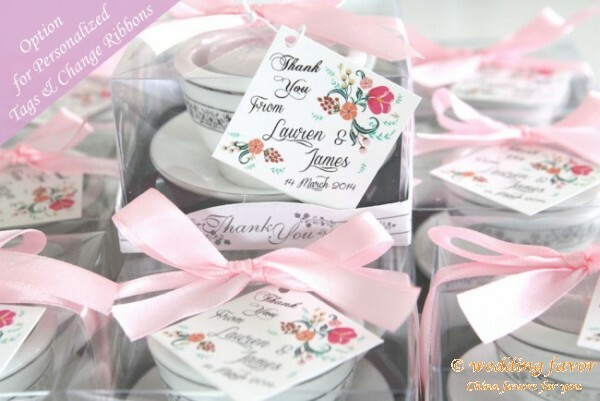 Your guests will by amazed by these favors, down to the soft and beautiful detail of these little porcelain tea cups. The porcelain china pattern' teacup sits atop an attached saucer and the teacup is the perfect size to hold a single tealight. The brilliant silver pattern is an elegant accent on the gleaming white porcelain. 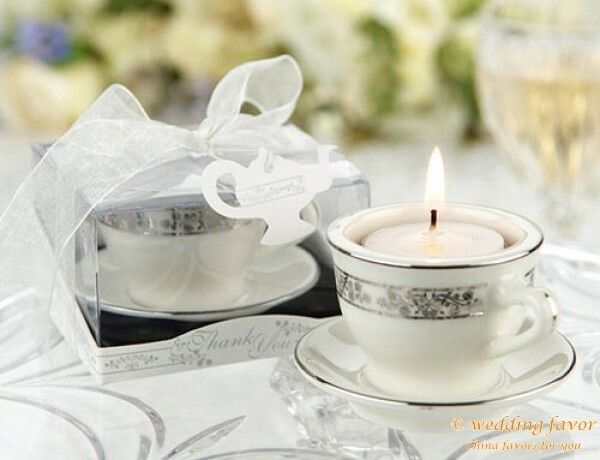 The Tealight is included and each "teacup and tealight" is packaged in a sophisticated showcase display box duplicating the china pattern on the tea cup. 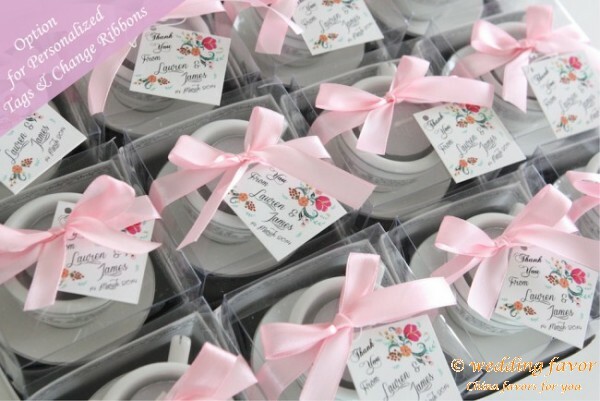 Gift box is complete with a sheer organza ribbon and a lovely teapot shaped hang tag. Gift Boxed favor measures 3 1/2" x 2". The teacup looks very beautiful. Please send us a price inquiry. 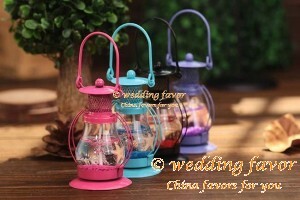 For large quantity or US$ 200 and above.